Unless Chief Justice Roberts is pulling our leg, today will be the day. Stay tuned for details. Don’t bite your nails down too far. UPDATE: The Court will begin releasing opinions at 10. In the mean time, Scotusblog has some interesting polls on their live blog coverage here. UPDATE: This will be a momentous day for gun owners, no matter what the decision. From here on out, things will be different. This is the biggest day for those who care about the second amendment, probably ever. UPDATE: The Court releases cases apparently according to seniority, so we’ll be dead last is Scalia is indeed the writer the Heller opinion. UPDATE: I’m as giddy as a school girl. UPDATE: Squirming in my seat here. UPDATE: The case of Heller v. District of Columbia is AFFIRMED! UPDATE: Scalia wrote the majority opinion. Ginsburg, Stevens, Souter and Breyer dissented. This case fell along ideological grounds, with the liberals dissenting. UPDATE: Apparently there are two dissenting opinions. This is a 5-4 ruling. Closer than I would have liked, but a win, nontheless. UPDATE: I will get the opinion, and read it, and give you my take as soon as I have time. I assume by 9:53, I’ll have a metacarpal or two down to a nub. I hope. Unfortunately I watch the SCOTUS flub Kelo, it’s very possible they punt this one low and to the left as well. 30 more minutes and we’ll know for sure. 10:12 Tom Goldstein – Heller affirmed. The Court has released the opinion in District of Columbia v. Heller (07-290), on whether the District’s firearms regulations – which bar the possession of handguns and require shotguns and rifles to be kept disassembled or under trigger lock – violate the Second Amendment. The ruling below, which struck down the provisions in question, is affirmed. Justice Scalia wrote the opinion. Justice Breyer dissented, joined by Justices Stevens, Souter and Ginsburg. We will provide a link to the decision as soon as it is available. 10:13 Tom Goldstein – Second Amendment protects an individual right to possess a firearm. Close is good–might mean that Scalia wrote a strong defense of what the amendment actually says. Like most rights, the Second Amendment right is not unlimited. 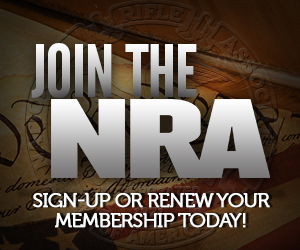 Tom Goldstein – Quoting the syllabus: The Second Amendment protects an individual right to possess a firearm unconnected with service in a militia, and to use that arm for traditional lawful purposes, such as self-defense within the home.